The film, directed by Ashvin Kumar, revolves around the issue of missing husbands in the valley. The title of director Ashvin Kumar’s No Fathers In Kashmir indicates that the film talks about the disappearance of men from the valley. Over the years, thousands have been taken away by the security forces for interrogation, many of them never to return. Even years later, family members don’t know whether their menfolk are dead or alive. Meanwhile, the children grow up devoid of any paternal influence. The husband of Zainab (Natasha Mago) was picked up for interrogation many years ago. As there was no trace of him thereafter, she relocated to London with their daughter Noor (Zara La Peta Webb). Years later, she visits her parents-in-law (Soni Razdan and Kulbhushan Kharbanda) in Kashmir to complete some legal formalities. Noor is now 14. While the film tackles the issue of missing men in the valley, it also shows the gloomy situation there. The narrative smartly shifts gears with Noor's changing perceptions of the place. Before landing in Kashmir, she, obviously, has no idea how serious the situation is. 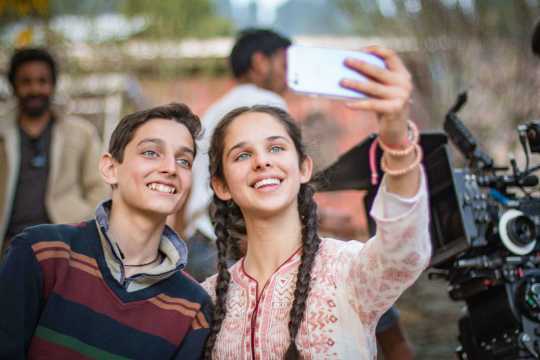 Her friend in London even playfully asks her to click a picture with a ‘terrorist’ once she lands in Kashmir, and she starts looking forward to that moment. Noor comes across a boy her age named Majid (Shivam Raina), son of her father’s friend, and they become friends. Majid’s father was also picked up similarly, never to return. Reality starts hitting Noor slowly and with that the mood of the film changes. But the two teenagers build their own world despite all that is going on around them. Until the time their world turns out to be just a bubble that is burst, because such is the nature of the place. Noor and Majid’s sweet bond instantly makes you care for them. Their brilliantly realistic performances, obviously, play a big role in drawing you into their relationship. Raina is completely believable as the local teen who is aware of the sorry state of things around him but still finds a way to remain cheerful and happy-go-lucky. Webb excels in portraying her character's desire to know the truth about her father. The little moment where she refuses Majid’s help to clamber on to a window is enough to tell you the strength of her character. No Fathers In Kashmir has stark reality written all over it, both in its portrayal of the situation in the Kashmir valley and in the way the characters are etched. Ashvin Kumar has no qualms in showing how the locals become militants and demand ‘azaadi’, or freedom, after they or members of their family become victims of the brutality of the security forces. This will, obviously, not go down well with some of the audience in other parts of India. A major triumph of the film is the character Arshid, a living representative of the film’s story. 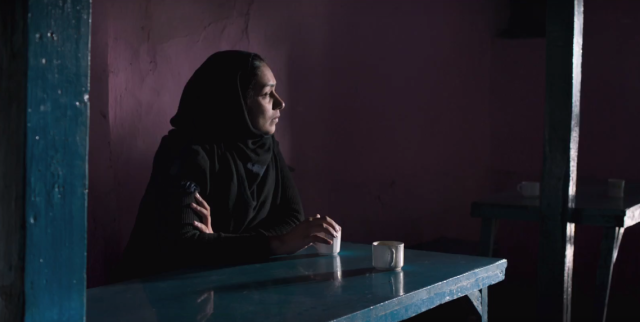 Noor and Majid’s fathers were his best friends until tragedy struck. Although Arshid did return after being picked up, the torture he endured while in custody turned him into a separatist. 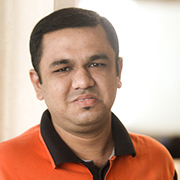 The character is played by director Ashvin Kumar himself. He is incredible, to say the least. Soni Razdan and Kulbhushan Kharbanda might not have a lot of screen time but they are memorable as locals from a small Kashmir village. The film is also backed by good performances by Natasha Mago, Anshuman Jha and Maya Sarao. No Fathers In Kashmir does have a small baggage of minuses. Zainab’s back story, about how she migrated to London and found another man to rebuild her life with, lacks clarity. Aijaz Khan’s Hamid (2019), Danish Renzu’s Half Widow (2017) and Praveen Morchhale's Widow Of Silence (2019) also revolve around missing husbands picked up by the security forces. But all these films are very different from one another in terms of how the situation in the valley and the characters are explored. This is a welcome change from the Mission Kashmir (2000) brand of cinema.